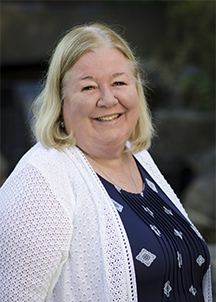 Linda Rahn has been a member of the faculty at WSU College of Nursing since 2007. Currently, she is the BSN clinical placement coordinator, where she assists with placing students in current facilities and also seeks out new facilities. She has taught clinicals both at WSU and Spokane Community College (SCC), where she began working in 2004. Linda also lived in Kelowna, B.C. for 3 years and taught a critical care course at Okanagan University College. She was born and raised in Staten Island, New York and originally went to a diploma program in Brooklyn. She later continued on to earn her BSN and Master’s in Nursing Administration. Linda has been a nurse for 38 years mostly specializing in critical care areas such as ICU, dialysis and cardiac catheterization. Currently, she is a member of the NCSBN simulation study team and loves working with students.